Posted by Brittany Bosher on Friday, March 28th, 2014 at 8:51am. 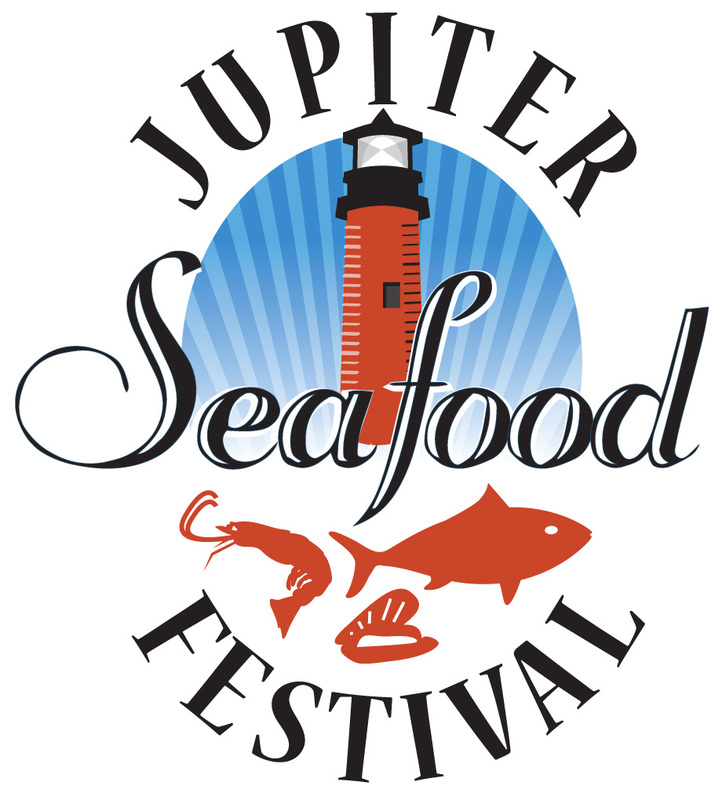 Coming to Jupiter for three days of fun is the Jupiter Seafood Festival! This fun event kicks off on Friday, April 4 at 4pm and will continue until Sunday, April 6 at the Abacoa Town Center. The Seafood Festival flows through the streets of Abacoa’s Town Center. Thousands of people come out to eat the delicious and fresh seafood as well as shop the local art. Come out and try some of the best seafood in all of Palm Beach County. Bring your family and friends along to try some fresh oysters, conch fritters, island style conch salad, seafood paella and fish tacos! 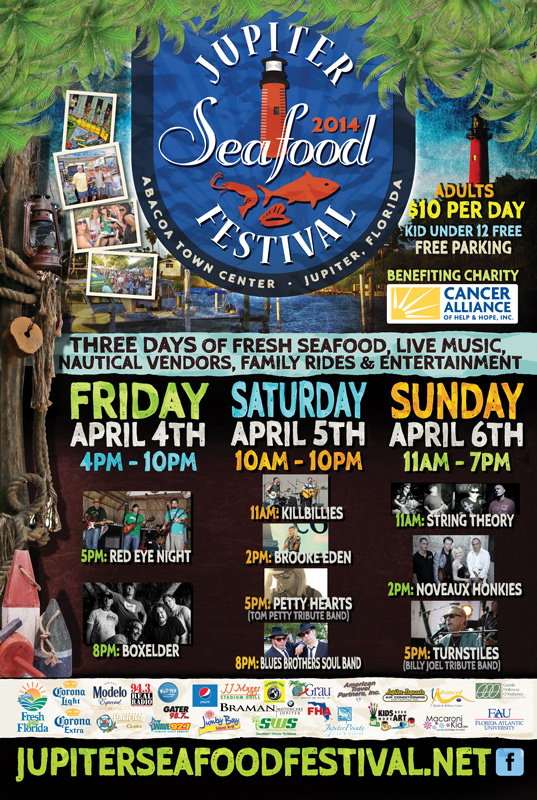 The event managers of the Jupiter Seafood Festival make sure that there will be tons of great seafood, awesome live music, family fun and so much more. This year they are even incorporating nautical vendors selling art and jewelry, family rides and entertainment. The live music will include local musicians as well as other musicians from across the country. Some of them include: Boxelder, Blue Brothers Jazz Band and String Theory. Even the West Palm Beach native, Brooke Eden will be singing your favorite country songs! The styles will range from reggae, jazz, rock and music from today as well.